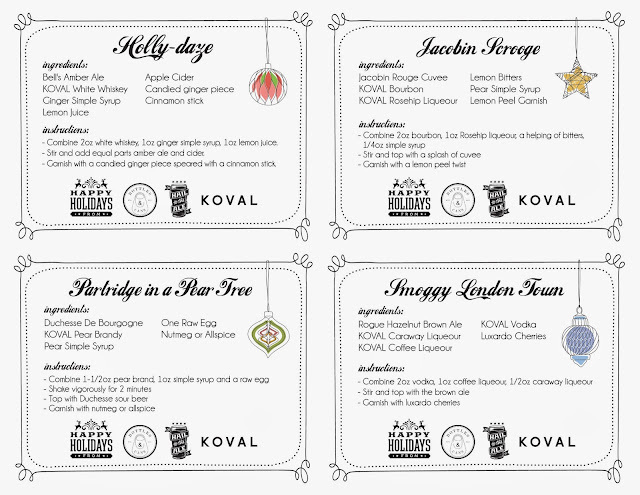 December's Chicago Beer Gals event was a special collaborative Holiday Beer Cocktail Party with KOVAL Distillery and Bottles & Cans. We crafted four holiday-inspired cocktails combining spirits and liqueours with craft beer. The "beertails" trend has been on the rise and we were excited to put together (and sample) our own take on them. 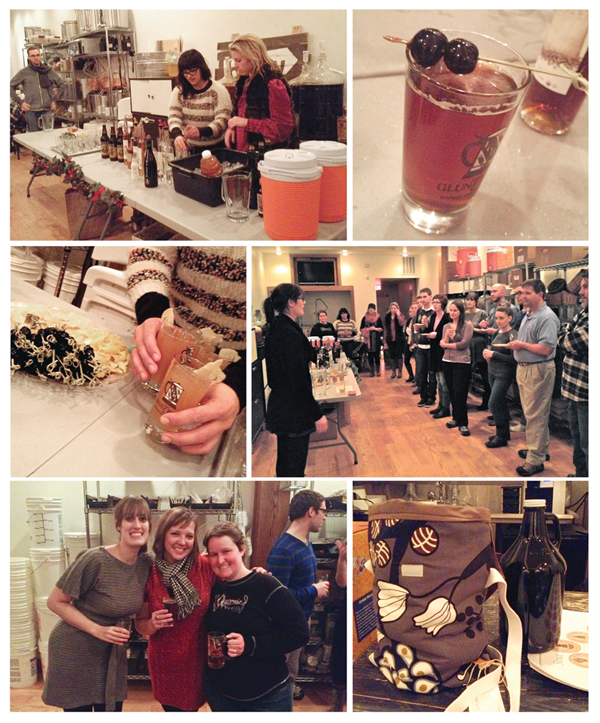 We hosted our party at Brew Camp's Classroom and allowed the gentlemen to join us this month. Karen and Halle from KOVAL were behind the bar mixing up cocktails as well as giving demonstrations for some really fun garnishes to help bring your holiday cocktails to the next level. We were privileged to have the owners of KOVAL, Sonat Birnecker and Bottles & Cans, Carly & Joe Katz in attendance. Sonat spent some time talking to the group about the history and growth of KOVAL as well as the distilling process. We raffled off some fantastic prizes including gift bags from KOVAL and Bottles & Cans, an insulated growler carrier bag from Growler Girls, Delirium Noel glassware, Anchor Brewing's Christmas label posters and a Beerables global glassware set. We've included the beer cocktail recipes cards below for you to print and enjoy yourselves! 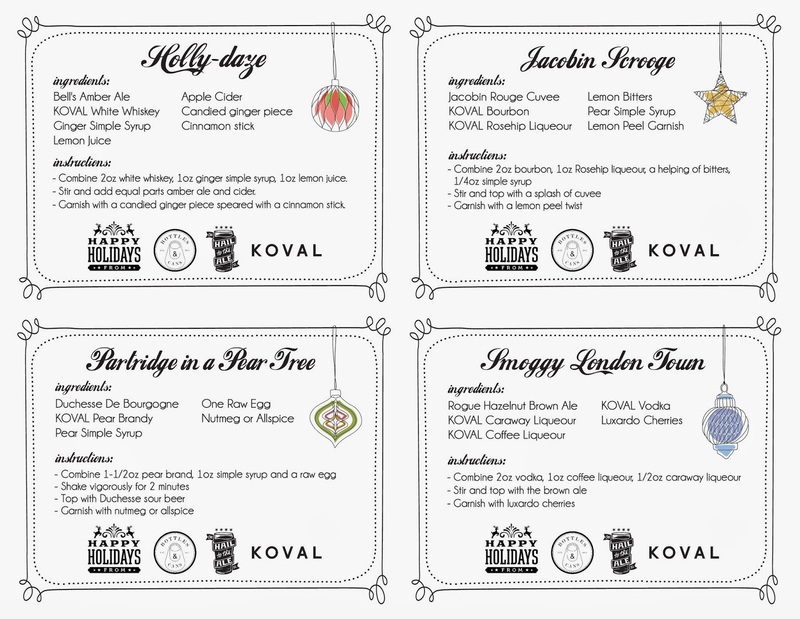 Wish you the happiest of holidays from your friends at Brew Camp, KOVAL, Bottles & Cans and Hail To The Ale/Chicago Beer Gals!